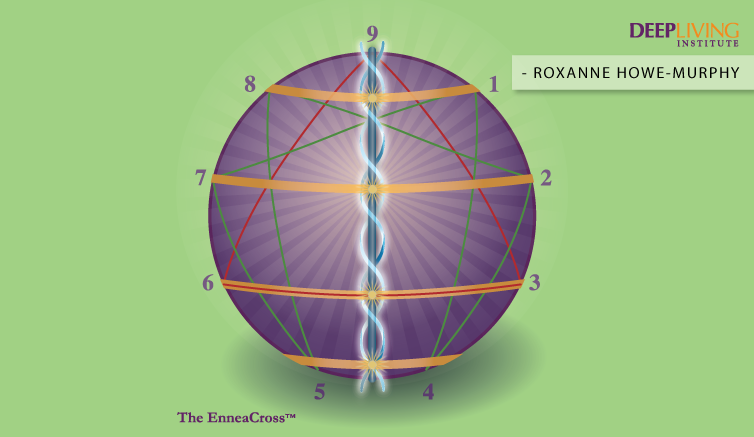 Just what is the cross in the EnneaCross ™? This is one of the big questions I have faced in writing my new book. I couldn’t have been more shocked when the image of the cross showed up in this symbol. The Enneagram itself is a nondogmatic symbol of awakening and presence. In many Western minds, the intersecting vertical and horizontal lines are associated with the profound image of the Christian crucifix. However, I sensed that these intersecting lines that are imbedded in the EnneaCross ™referred to universal themes that applied across religious and spiritual traditions. My curiosity led to discovering that different cultures at different times, including pre-Christian eras, have ascribed varied meanings to the cross, many of them with spiritual connotations. For example, while visiting Mexico, I learned that in indigenous, pre-Hispanic (pre-Christian) Mexican culture, the cross was seen as the intersection of the male and female, and thought to be a foundation for spirituality. The Tuareg tribes, nomadic peoples who still inhabit large sections of the Sahara, have ornate versions of what they call the Agadez cross. While there are numerous interpretations of its meanings, one is that these crosses represent the four corners of the Earth and provide a metaphysical and spiritual compass for those who were always on the move. I was fortunate to obtain an Agadez cross in the form of a pendant from an artist who is a member of a Tuareg tribe. I have added that to my Navajo, Celtic, Spanish, Ethiopian and Western crosses. From each, I draw a distinct sense of inspiration and reverence. What does this form, then, mean in the EnneaCross ™? I have come to understand it as an archetype for what may be the most profound question that we humans face: how does our human, psychological, conditioned, finite nature represented by the horizontal line, relate to our Infinite, liberated, Essential nature, represented by the vertical line? In my own experience, I’m aware of the contradictory nature, the push and pull between these dimensions, with their unique forms of magnetism, within myself. While at times this can seem like a burden, it’s been mostly a gift to experience the great dimensions of consciousness that somehow take root in the fullness of my humanity. And perhaps the greatest gift is the clear invitation to embrace and fully accept both dimensions in the midst of exploring the most authentic relationship between the two at any given moment. As I continue to write and deepen in the insights offered, the sacredness of this works is undeniable. 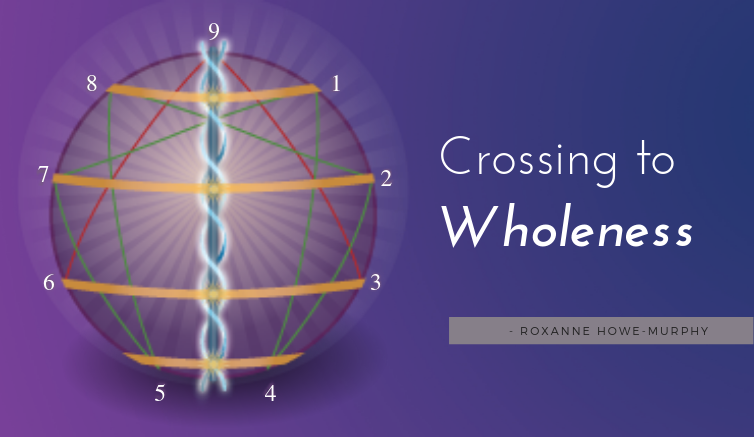 This I know–we each have many spiritual crossings that we make to our wholeness.